Acting under the instruction of the Virginia Convention, Richard Henry Lee on June 7, 1776, introduced a resolution in the Second Continental Congress proposing independence for the colonies. The Lee Resolution essentially says in it’s simplest form, we the people cast-out our current mode of government, create a new confederate of at that time were 13 Coloies, and that we are willing to surcfice our lives , our property and our sacred honor to get it. This leads to the War of Independence from the British King and he’s corrupt democratic parlament. 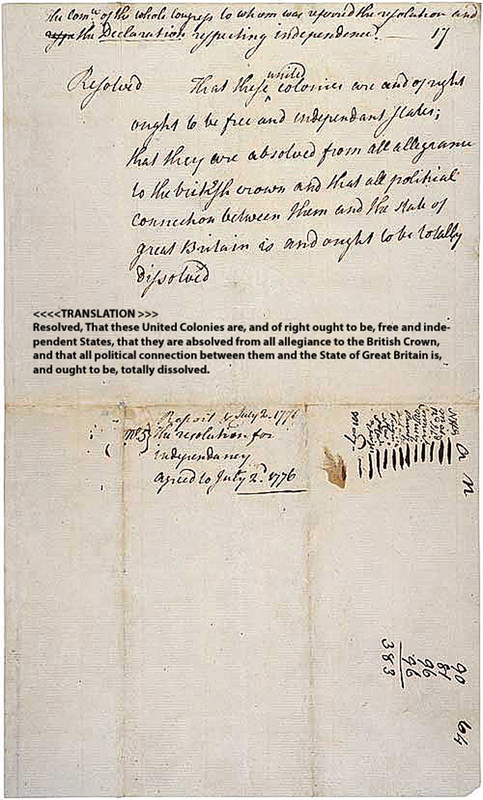 On July 2, Congress adopted the first part (the declaration). The affirmative votes of 12 Colonies are listed at the right with the exception of New York that upheld the Declaration of Independence on July 9, 1776.